Toronto we need your help! You helped us win the Jack Daniels Supporting Act contest (thanks!) now we need your help to win a BIGGER contest! We have been accepted to play at the BANDIT Wingspan music contest to win a prize worth half a million dollars – this includes going to LA to record our album with a big producer! 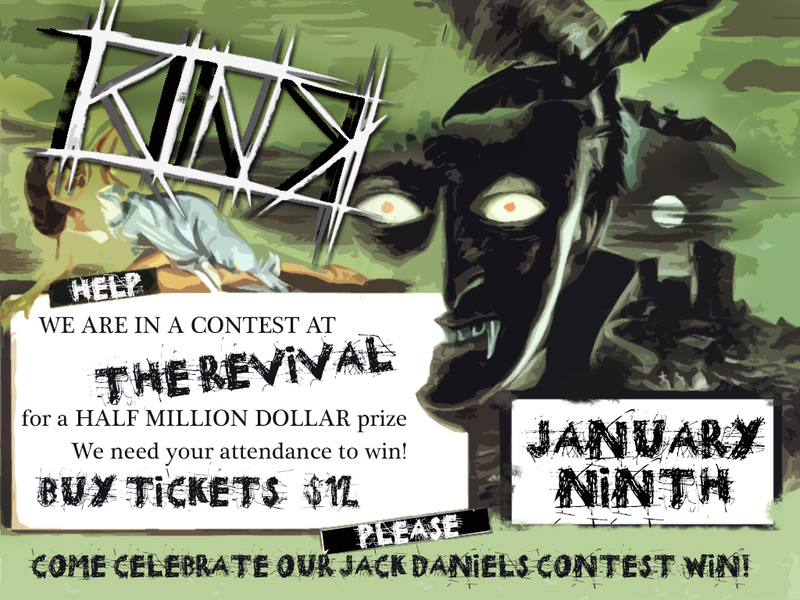 We need you January 9th to come support us at the Revival in front of the panel of judges.